Hello Doodlebug friends! It's me, Wendy Sue, here on a beautiful Wednesday morning to bring a little bit of sunshine into your life!! 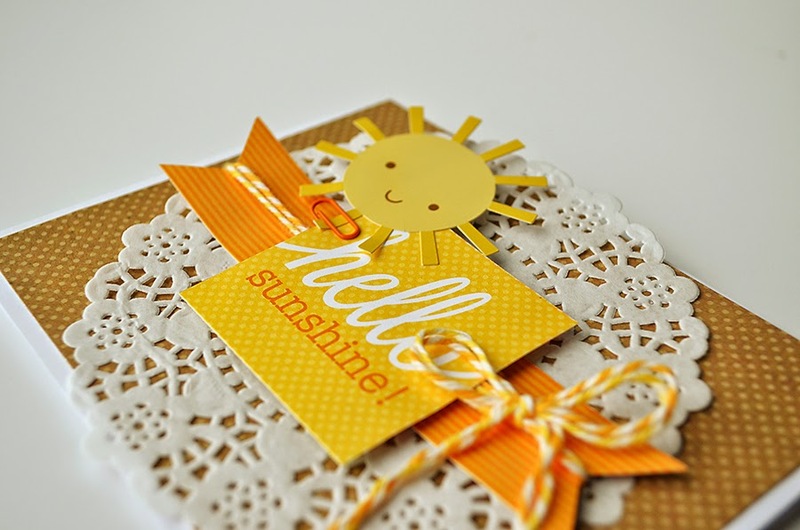 I am just LOVING the "Hello Sunshine" collection! 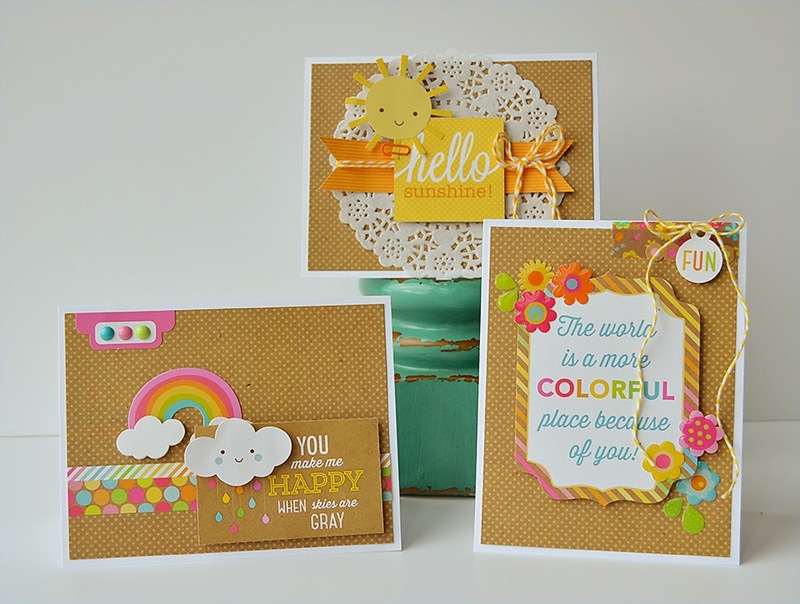 The bright, happy colors against the neutral kraft background were just begging to be made into a set of happy, springtime cards. I had to oblige! 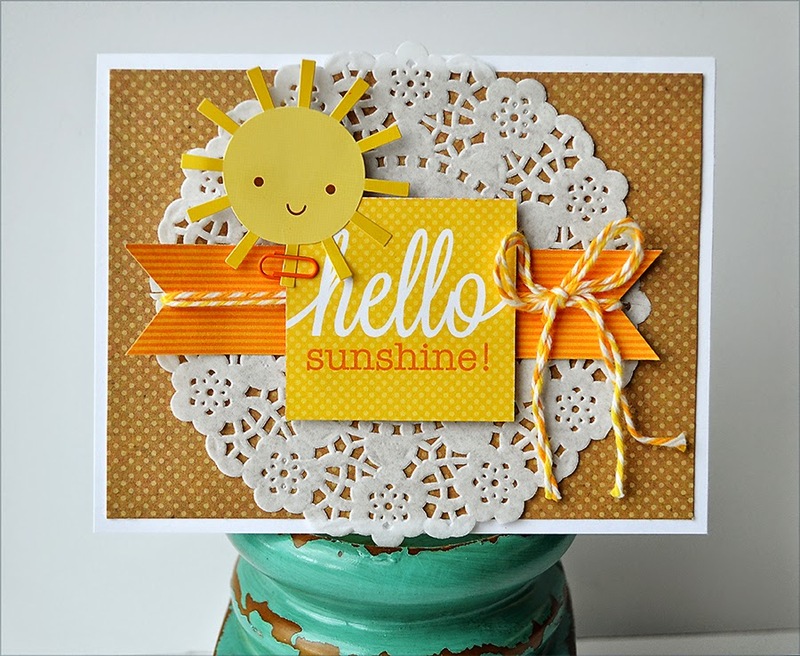 My first card features the sunshine sticker and the cute little "hello sunshine" text block. I couldn't resist adding a white doily and some doodle twine to soften everything up! Of course, I had to add some foam adhesive behind the sunshine and text block for a bit of dimension too...it's been one of my very favorite techniques for years now! And who can resist a beautiful, bright rainbow with a soft fluffy cloud at the bottom? Certainly not me. Can you see how many clouds are layered here? I'll give you a hint...it's more than three and less than five. ;) I LOVE layers! 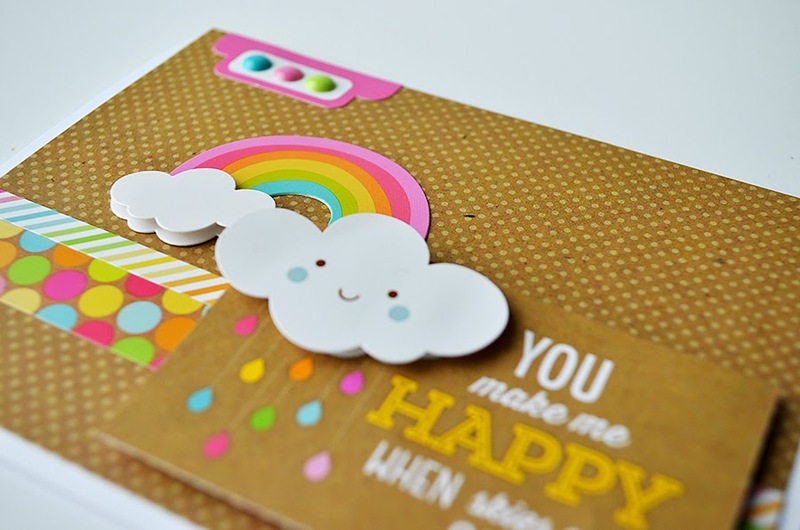 This sweet little phrase sticker just had to be put on one of my cards. 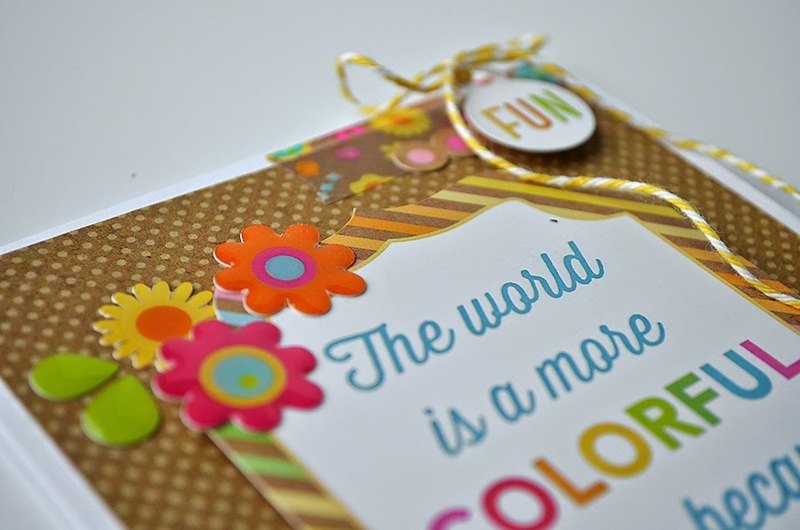 I used the sprinkles shapes "spring flowers" around it...and I love, love, love it! 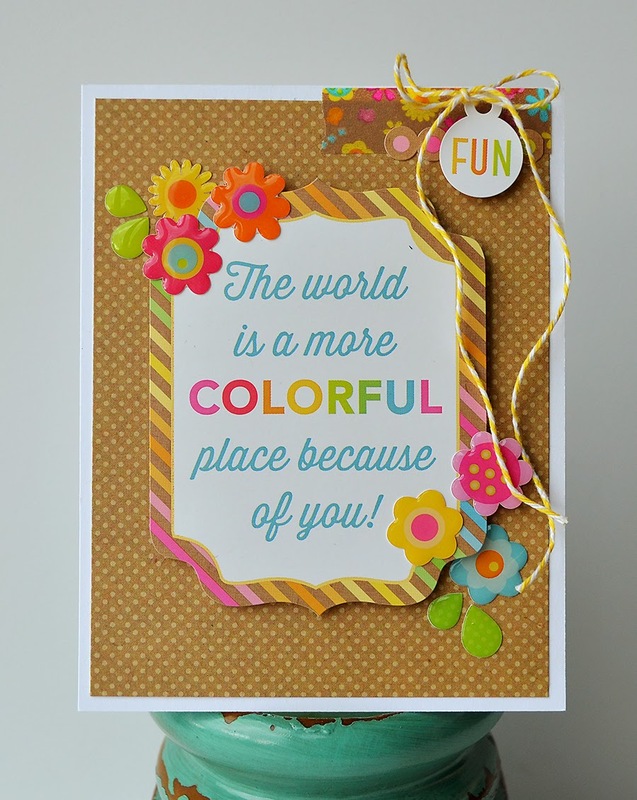 I bet you know someone who makes your world more colorful and happy and fun - you should make this card for them!! Hope you all have a very happy, sunshiny day! These are fabulous Wendy! So bright and cheery!! I would have to say that the world is a better place because of Wendy Sue and Doodlebug!! 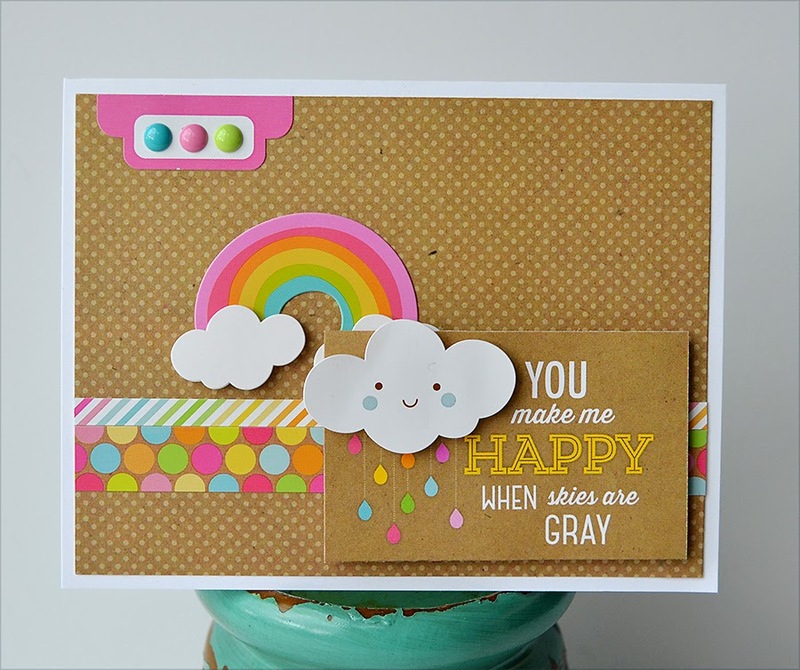 These cards are like sunshine to my soul - they are smile-bringing, heart-meltingly sweet and incredibly clever!!! What an awesome showcase of Doodlebug products!! !